Search Engine Optimization offers one of the most strategic opportunities for sustained business growth. Multiverse Media Group has a team of professionals who specialize in SEO that gets results. Implementing the best search engine marketing strategies, we will improve the organic search engine rank of your business so that leading search engines display your business on the 1st page for valuable keywords and search terms. Your online success is directly related to your online visibility. It doesn’t matter how great your message, product, or service is if no one can find it. Our SEO solutions are designed to increase and sustain your online visibility. 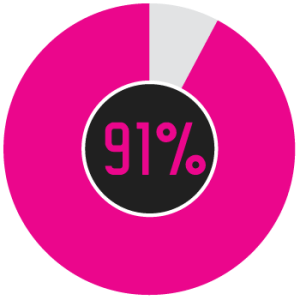 91% of the clicks are performed on the first page of a result. 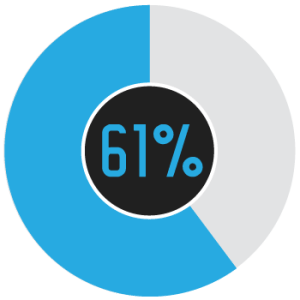 61% of those first page clicks go to the links in the top three positions. 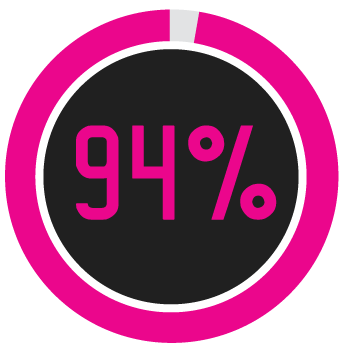 94% of the clicks are performed on organic results. 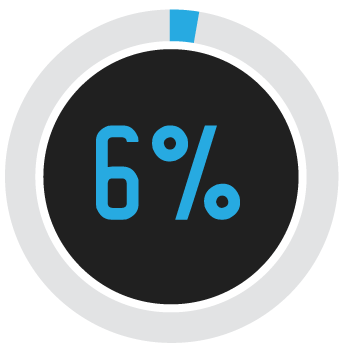 6% of the clicks are performed on the paid results. If you’re not ranking on the first page, then you’re losing leads, sales, and profits! 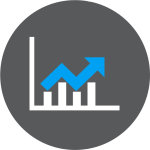 Our clients come to us with the desire to grow their business intelligently – with the greatest ROI. Our focus is on increasing your search engine rank position, beating your competitors, and above everything else – protecting your investment. SEO Tactics & Strategies That Work. White-hat SEO: Obtain and protect your spot on the 1st page of Google and other search engines. We’re careful to do things the right way, which is smart. We’re US based, accountable, and reliable. Our strategy focuses on strong content, great networks, powerful backlinks, and highly performing digital assets such as videos and websites. We wear many hats, though rest assured, none of them are black-hat. Smile Google, we’re on your side. Adaptive Campaigns: Getting results today and working hard toward tomorrow. It’s inevitable that SEO algorithms are going to change. In order to get results consistently we monitor those changes and prepare for the unknown. By knowing the game and using the latest data, we continually adapt our campaigns to win first page rank position for our clients. Forward Thinking: Big picture thinking for longevity of results and business relationships. We’re here to permanently secure your online visibility, to take on the toughest competitors, and gain traffic for the most valuable keywords. Growing any business takes time. Our team works to reduce that time, increase organic results, and focus on your continued success. On-page SEO is the optimization of elements on your website that impact search engine rankings. Examples of on-page SEO include content, robot text, tags, and internal link building. Off-page SEO is the optimization of elements on web pages other than your website. Off-page SEO examples include external link building, web 2.0 properties, social media, and press release distribution. We utilize the strength of both on and off-page search engine optimization to maximize your ranking potential throughout all major search engines to build a strong online presence that lasts. A complete and comprehensive review is always the first step to formulating an SEO strategy. Your blogs, social media activity and website all have to be looked at closely. If there is room for improvement in these areas we will identify them and work with you. Our SEO team will look at the competitive landscape, analyze other key businesses in your field and use that info to form effective steps that will give you the advantage over your competition. 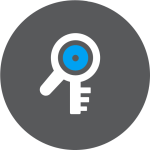 MVMG utilizes a variety of proprietary and high-end research tools to analyze keywords you and your competitors are already using. We use that data to compile relevant keywords and phrases that will pull in the most relevant traffic to your website. We build a list of primary, secondary and auxiliary keywords to engineer a strategy for effective ways to organically maximize your search engine rankings. We’ll ensure you stay ahead, working alongside you the entire way. Website content, press releases, articles and blogs all need to be relevant and well written with optimized search elements. Search engines scan all content and rate it for ranking. Lack of original and compelling content will cause your content to rank below other similar materials and cause you to miss out on potential leads. Tactics such as keyword stuffing (or using copied material) will cause your site to be penalized by SEO algorithms such as Panda and Penguin. Our SEO service will help you develop useful and interesting content that is engaging to users and ranks so you get more traffic and clients. 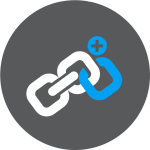 Successfully developing independent external links to your site is critical to search engine marketing campaigns. The number of external links to a website is a major variable in determining high rankings with search engine networks. MVMG’s experienced search engine optimization team utilizes a number of proven tactics for link development. 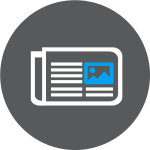 Relevant articles posted on major news outlets are a vital aspect of brand positioning. They can increase awareness, build recognition, and even build links. MVMG will prepare and submit SEO optimized material that will be both newsworthy and engaging. It will have a dynamic impact on your online visibility and SEO Rankings. Web 2.0 properties such as Youtube, Facebook, Twitter, Google +, and LinkedIn, have become invaluable components of search engine marketing strategies. 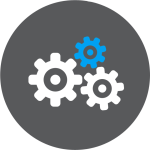 All of our search engine optimizations come with the creation of 75 branded profiles, with options for more. 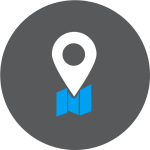 MVMG will ensure that when users use search for a local business or organization in your field that they will find you. 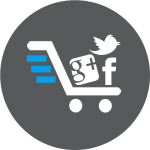 MVMG will optimize your product and services locally in Google, CitySearch and Yelp. These local listings have been incorporated into Google’s algorithm and will help you to rank better locally and nationally. 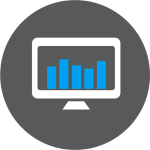 Our services come with custom reports that measure your SEO progress, traffic reports, and custom metrics that are important to your business needs. We even set up automatic scheduling of these custom reports so you’re always kept up to date with the latest progress. Last, but definitely not least, is all the technical stuff like title tags, meta descriptions, ALT image tags, and proper use of HTML page structure. Even things like page load speed can affect your rankings. We ensure all of these things are the absolute best they can be within your budget. Q. What will it take to optimize your business? A. Find out now by receiving an obligation-free individualized consultation regarding your company’s website. Fast & Affordable Professional SEO Results. 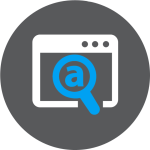 AND get your free website audit – to discover unknown competitor insights and immediate keyword opportunities for business growth!